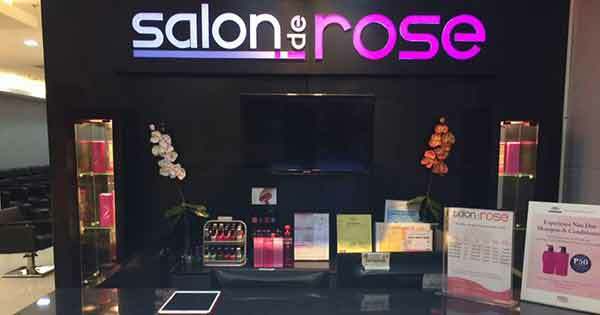 About Us: With four styling chairs and a couple of manicuristas, Salon de Rose opened its doors on November 1974 at the then Magellan International Hotel in Cebu City. The company’s founder, Rosario Lim, who is very passionate about beauty and good grooming, wanted a salon that would cater to her and other Cebuano women’s beauty needs at a time when looking for good quality salons in Cebu was like looking for a needle in a haystack. Salon de Rose easily captured the hearts of locals, as well as visitors to Cebu that in 1977, the salon opened another branch in Davao City. Mrs. Lim believes that going to the salon is supposed to be a relaxing experience and, after realizing that there were a lot of clients from Mindanao who fly in to Cebu just to avail of the salon’s services, an out-of-town branch became a necessity.